This inner filter is for use with the CWI-DAC2400 air cleaner. It can also be used on other brands of air cleaners of the same size. With normal use the inner three-pouch filter should be inspected and cleaned every 30 days, and replaced with a new one every 12 months. For convenience and to limit the number of steps required, inspect and clean the inner pouch filter every time you clean the outer filter. 1. Turn off and unplug the machine from the power source and if necessary lower the machine from its mounting hooks and place it on a table or bench for easier access. 2. To access the inner filter, first remove the outer pleated filter by slightly lifting then pulling the filter out at an angle, then do the same with the Inner “Three Pouch” Filter. 3.Inspect and clean as needed by holding the filter upside down over a garbage can or inside of a plastic bag and shaking. A soft long bristled brush can also be used to gently remove the dust from the filter. Take care not to damage the filter when handling. Note: Do not wash or use water to clean the filter and do not use an air gun, vacuum or other “aggressive” methods which can damage or open up the filter pores. 4. Re-install the filter with the pouches facing in towards the front of the machine. 5. If necessary, reinstall to overhead or ceiling supports. Reconnect to the power source. 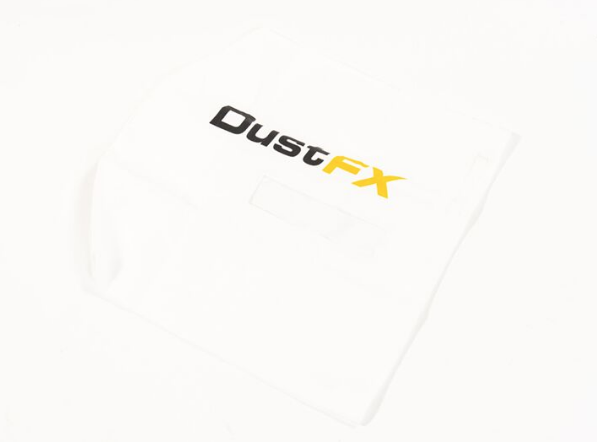 Note: If you notice that the Inner “Three Pouch” Filter is accumulating dust faster than usual it may be a sign that the Outer filter is damaged and in need of replacement.